The community return with their Fantasy Premier League Gameweek 26 tips. With a Blank Gameweek looming, is it time to offload Manchester City and Chelsea assets? Will is joined by the FPL General this week for his latest FPL Gameweek 26 tips video, to discuss all of they key talking points. There’s plenty to discuss, with a definite shift in the template for the coming weeks. ✅ Should we bring in Aubameyang? ✅ Is Son a must have? This week, Blank and Double Gameweek guru, Ben Crellin, joined the FPL Surgery podcast to talk long-term planning and strategy. With the first blank coming in Gameweek 27, it’s important to be looking ahead right now. In one of the toughest weeks for captaincy this season, FPL Connect crunches the numbers in the latest Captain Metric. Salah, Rashford and Aubameyang were selected as the standout picks, but there are others under consideration too. There’s plenty of news to come out of the press conferences, but there will be early concern for Aubameyang owners. He did train on Thursday, but is thought to be struggling with illness. Will that discourage you from handing him the armband? Those managers who made the move from Aguero to Aubameyang for the Double Gameweek were hugely rewarded. It’s been enough to make managers doubt making the move back this week: Fantasy Football Hub compare the two. It was an important episode of the Fantasy Football Scoutcast this week, following a difficult Double Gameweek. The team committed a considerable amount of time to mental health and overcoming those FPL woes. 🎙️ A Scoutcast with a difference this week as @ffscout_az, @FFScout_Joe and @DavidMunday815 talk about the emotional toll that FPL can take on managers, especially during a bad Gameweek. FPL Vs looks ahead at the long-term fixtures for the Gameweek 26 tips, to help hone in on those crucial transfers. 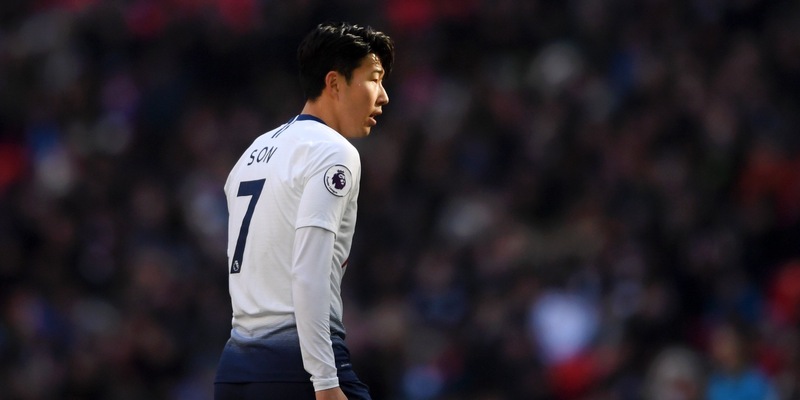 Spurs feature high on the list, with Heung-Min Son a very popular transfer in for this weekend. The FPL Goat has produced an informative thread on the defensive teams and players to target, who have a confirmed fixture in Gameweek 27 and Gameweek 31. Leicester are the favourites, with a plethora of options. There’s cash up for grabs in the free entry FPL Tips contest over on Starting 11 this Saturday. Check out his latest video over on YouTube for some tips on how to set up your squad to maximise points in those fixtures. 💰 | There's £25.00 up for grabs once again! Pick an 11-man #FPL team from Saturday's 7⃣ games, without any player prices or restrictions.